If there is any hope of finding it, they must first trace Caitlin's ancestry. Is she really the One? Their search begins with finding Caitlin's father. Who was he? Why did he abandon her? As the search broadens, they are shocked by what they discover about who she really is. But they are not the only ones searching for the legendary sword. The Blacktide Coven wants it, too, and they are close on Caitlin and Caleb's trail. Worse, Caitlin's little brother, Sam, remains obsessed with finding his Dad. But Sam soon finds himself in way over his head, smack in the middle of a vampire war. Will he jeopardize their search? Caitlin and Caleb's journey takes them on a whirlwind of historic locations—from the Hudson Valley, to Salem, to the heart of historic Boston—the very spot where witches were once hung on the hill of Boston Common. Why are these locations so important to the vampire race? And what do they have to do with Caitlin's ancestry, and with who she's becoming? Although LOVED is the sequel to TURNED, it also stands alone as a self-contained novel. LOVED is 51,000 words. 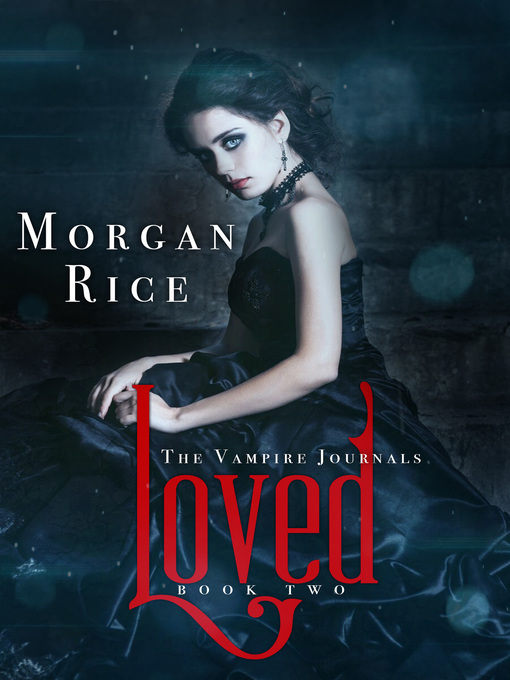 "LOVED, the second book in the Vampire Journals series, is just as great as the first book, TURNED, and jam packed with action, romance, adventure, and suspense. This book is a wonderful addition to this series and will have you wanting more from Morgan Rice. If you loved the first book, get your hands on this one and fall in love all over again. This book can be read as the sequel, but Rice writes it in a way that you do not need to know the first book in order to read this wonderful installment." "THE VAMPIRE JOURNALS series has had a great plot, and LOVED especially was the kind of book you will have trouble putting down at night. The ending was a cliffhanger that was so spectacular that you will immediately want to buy the next book, just to see what happens. As you can see, this book was a huge step up in the series and receives a solid A." "In LOVED, Morgan Rice proves herself again to be an extremely talented storyteller....What was most enjoyable about LOVED is the history. When you get actual historical connections written in a book, you have a tendency to become much more fascinated in what happens to the characters. I feel LOVED would appeal to a wide range of audiences, including younger fans of the vampire/fantasy genre. The romance is PG-13, with no inappropriate love scenes that would have parents worried. LOVED is much deeper than the first installment. It develops and explains the characters in more detail, which helps the reader understand them better. The story moved along well, and ended with an unexpected cliffhanger that leaves you shocked. Engaging and fun, I found myself enjoying this book much more than the first and I am highly anticipating the next installment." Books #2 through #11 in the VAMPIRE JOURNALS are now also available!